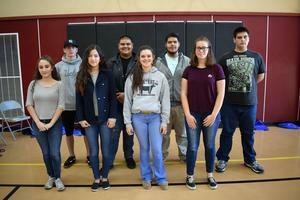 Each month throughout the school year, Ukiah Unified School District organizes the Student of the Month Ceremony at the Alex Rorabaugh Gymnasium. This award is based on things like character, citizenship, hard work, helpfulness and other measures of achievement. The November ceremony started off with the Pledge of Allegiance and featured students like Ukiah High School Junior, Hiroko Jimenez Guevara. She was recognized for quickly adjusting to her new school after relocating, her AP Calculus achievements and her work ethic. Others were recognized for things like model rocket projects and generally going above and beyond what is required. All of the following individuals and local businesses contribute complimentary meals, certificates, services, or other prizes for the winners. Thank you for investing in our students; State Assembly Member Jim Wood, Applebee’s of Ukiah, Community First Credit Union, Paradise Skate in Lakeport, CA, Savings Bank of Mendocino County, Schat’s Bakery, Slam Dunk Pizza, Star’s Restaurant, State Farm Insurance, Ukiah Daily Journal, and Ukiah Players Theatre. It takes a strong community like ours to support students in the things that will prepare them for success in the future. We want to recognize that our local sponsors support our students and make this a special event for the recipients and their families each month. Our mission at UUSD revolves around challenging and inspiring our students to value different perspectives and become successful, contributing citizens in our increasingly complicated world. We are lucky to have a vibrant and healthy local culture founded on great relationships and learning. For all students, we must celebrate and cultivate their unique skills and talents. We fully recognize individual achievements whenever possible because the values and actions of our students mean a lot for everyone’s future. Another great element of this celebration is the coveted Attendance Award, given out to the school with the highest average daily attendance over the previous month. This highly-competitive award is very important because we know that if students miss just 2-3 days each month, it is extremely difficult to be able to read at grade level. If students don’t read at grade level by third grade, unfortunately their graduation rate plummets. On that humbling note, please make sure your student gets to school every day possible. The October 2018 Attendance Award virtual trophy and bragging rights go to Pomolita Middle School, with Grace Hudson Elementary taking second place. Congratulations! The process to become a Student of the Month is actually quite competitive; students are nominated by teachers and staff from each individual school and then students are selected from the nominations. This is tough because many times schools are buried in nominations, and they absolutely don’t want to leave anyone out. We don’t suffer from a shortage of amazing students here in our schools, and that is no accident. Parents and community partners should be proud of our students’ accomplishments and our community's engagement with student learning and education. When I see and hear about the things that motivated our teachers to nominate these children, I’m inspired. It lets me know we’re doing something very right. 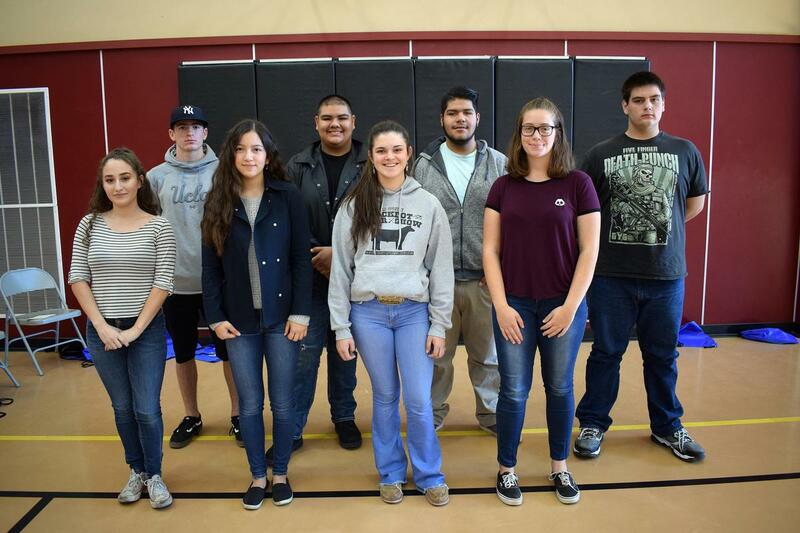 Next month’s ceremony will be held on December 5th, 2018 in the Alex Rorabaugh Gymnasium at 1640 S. State Street in Ukiah, CA from 9:30 - 10:30 a.m. Come out, hear some good news, and support our incredible students.